We’ll contact you with an amazing quote! Limited time offer! Use our quote form above or call (229) 245-6045 and ask for James or Jerry. Just mention you found us on the web! Valdosta Title Pawn is a responsible lender. A title pawn/loan is a short-term, secured loan using the equity in your vehicle as collateral. This type of pawn is not intended to be used long term. The maximum annual percentage rate (APR) for a title pawn is 0%*, including interest rate plus fees and other costs, with a minimum repayment period of 61 days and a maximum of 90 days. Representative example: If you choose to pay your pawn within 61 days then the total repayment for a $100 title loan is $100. This includes all applicable interest and fees. *This offer is valid for customers applying online. Your actual rate depends upon loan amount, loan term, credit usage and history, and will be agreed upon between you and the lender. Alternative example: If you choose to pay your pawn back in three (3) monthly payments of $33.33 (plus an additional $.01 on the final payment), then the total repayment for a $100 title loan is $100. This includes all applicable interest and fees. We comply with disclosure requirements required by the state of Georgia and with federal disclosure requirements, including the Federal Truth in Lending Act. Our title pawn contracts fully outline the terms of the transaction, including the cost of the service fee both as a dollar amount and an annual percentage rate (APR). We further ensure full disclosure by making rates clearly identifiable to customers before they enter into the transaction process, unless not permitted by federal, state, or local law. We also disclose in bold letters that failure to comply with the terms of your pawn contract may result in the forfeiture of the pawned collateral. This is a solicitation, not a guaranteed offer, and is subject to manager’s approval along with a complete and approved application. Approved amount is subject to vehicle evaluation and information collected in the application process. Results and actual loan amounts may vary. Certain limitations apply. 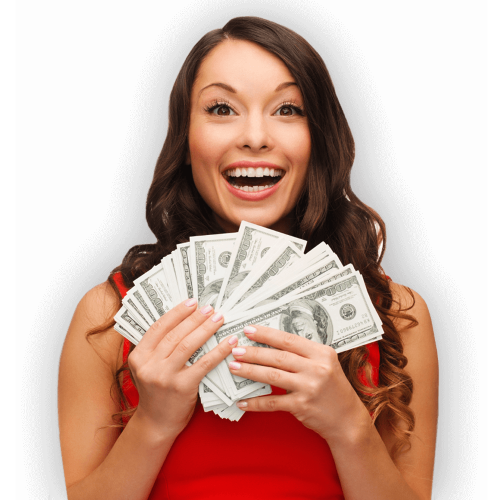 All loans subject to customer’s ability to repay and manager approval. Interest, fees or costs may apply. Valdosta Title Pawn is a licensed pawnbroker in the state of Georgia. All title pawns subject to liberal credit policies and limitations, if any. If you have a car title and you live within our coverage area, and can provide proof, you’re approved. Really, it’s that simple. There is no credit check. We determine how much to lend you based on the value of your car, and we make adjustments from there. We take into consideration such things as: the condition of your car, how close to our office you live, if you’ve had a title loan with us before, and also any special circumstances you may have.We’re known for going above and beyond other companies in order to payoff your existing title pawn, or by beating their interest rate to get you a better deal. The only thing we require is that you drive your car to our office, you have a clear car title (we can payoff competitors), and that you have proof of your address (utility bill) or a stable job (paycheck stub). We’ll often make exceptions, so if you’re missing something, give us a call before you give up. Can you payoff another title pawn? Absolutely! If you have a title pawn at TitleMax, TitleBux, EZ Title Pawn, Georgia Title Pawn, LoanMax, InstaLoan, Speede or Title Cash, or any other title loan company, we’ll take care of everything for you, helping you lower your payments so you can get your title back faster. Everyone wants lower interest rates, and we’ll do our best to make it E Z to get the max amount of money at the best interest rate we can. Simply use our quote form or call us at (229) 245-8000 and we’ll make arrangements to transfer your loan to us. Almost everyone who transfers from another title loan place gets more money, saves money, or both! It’s so easy, most likely we’ll be able to do everything for you! A title loan (or title pawn, same thing) is a secured loan using your car title as collateral. You’ll have low monthly payments, usually requiring just the interest to be paid, and you can make as little as the minimum payment up to paying the loan off in full at any time. Any money left on your loan at the end of the month would be borrowed again for another month, paying interest only on the amount you still have left. Can I also pawn my motorcycle, boat, etc? Yes! You can pawn your car, truck, van, SUV, motorcycle, boat, trailer, 4-wheeler, dirt bike, ATV, and almost anything with a title! Some items we hold while in pawn, depending on the loan amount and if we’ve made loans to you before. Generally, if we get close to the actual cash value of something other than a motor vehicle, we ask to hold it while it’s in pawn. Don’t assume, however! Give us a call and let’s talk! Where do I have to live to get a title pawn? We’re located in Valdosta, GA and serve pretty much all of South Georgia and North Florida. Our favorite areas include Valdosta, Hahira, Adel, Quitman, Dasher, Lake Park, Lakeland, and Homerville in Georgia, just to name a few. In Florida, we have lots of customers from Lake City, Madison, and even occasionally Jacksonville and Tallahassee. Usually the farther from our office, the newer the vehicle should be. We’ve been helping Valdosta, South Georgia and North Florida with title pawns aka car title loans since 2005. Please use our form for a free quote or contact us directly and ask for James or Jerry!  We don’t do a credit check or report to the credit bureau agencies, meaning everyone is approved regardless of your past credit history. Bankruptcy, repossessions, and otherwise bad credit is OK with us, since you use your car title as collateral for your title loan. Pawn your title – keep your car – easy monthly payments.